We offer two ways to find articles, either in EBSCO's FullText Finder or in our databases. Use EBSCO's FullText Finder to locate e-journals. 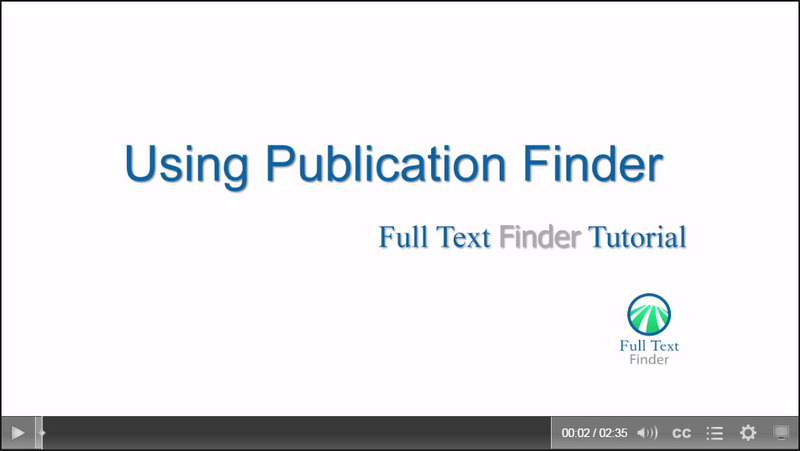 FullText Finder is a new state-of-the-art publication search service that has replaced EBSCO's A-to-Z Reader Site. If you are interested in finding articles on specific topics, try searching one of our databases such as PubMed or CINAHL. On our database list you will find more than 40 other database resources, some with a wide focus (PubMed, TRIP, ClinicalKey, UpToDate) and some more narrow (TOXNET and OrthoEvidence). Our Health Sciences Librarians will be happy to help you begin your search in a one-on-one session or in a workshop.